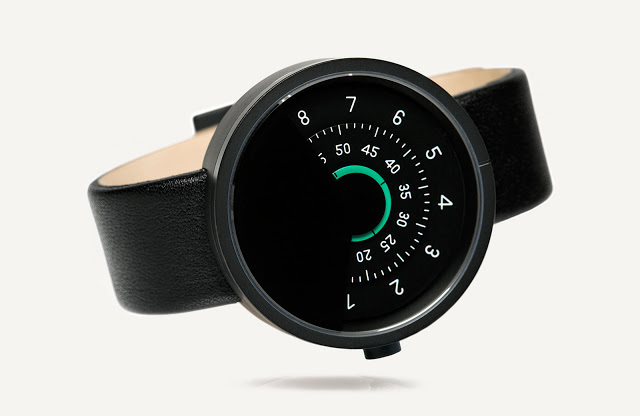 Originally funded via Kickstarter, Anicorn's first wristwatch is the Series 000, a disc-display timepiece powered by an automatic movement. 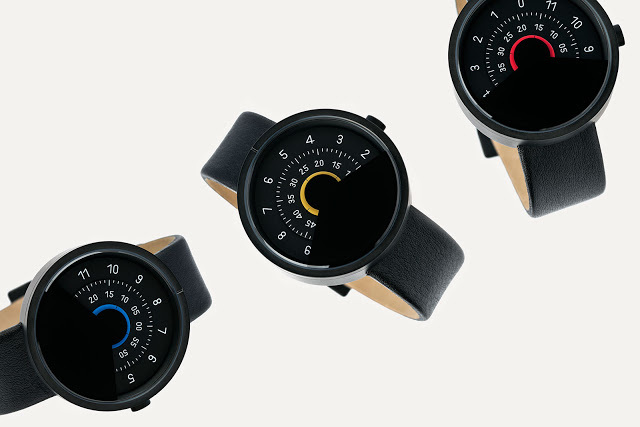 The Anicorn Series 000 made its debut on Kickstarter, raising over US$50,000 and selling out its first run. Now available in six other colours, the Series 000 uses twin discs to indicate the time, essentially a simplistic variant of the wandering hours complication. 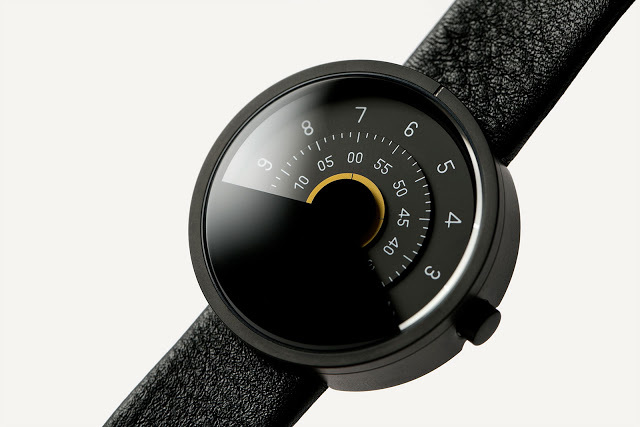 Instead of hands, the dial is fitted with three discs, mounted on the same pinions that would ordinarily hold the hands. A vertical line engraved on the bezel at 12 o’clock points to the time on the discs, the hours on the outermost disc and the minutes closer to the centre. 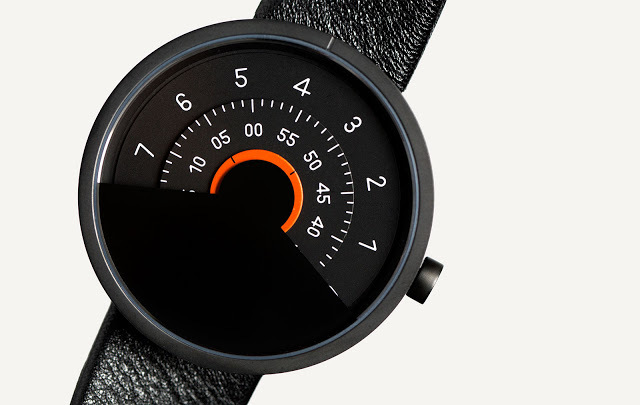 Most of the watch is black, with the numerals rendered in Grow, a sans serif font conceived by Swiss design agency Dinamo. 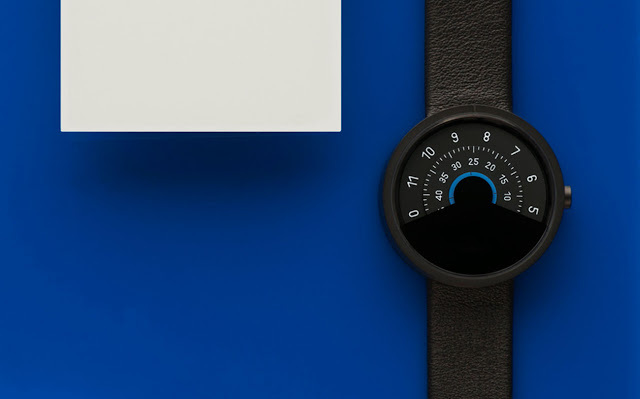 A touch of colour is in the form of the seconds disc at the centre of the watch that in colour and printed with four lines at the cardinal points to show its movement. Six colours are available. 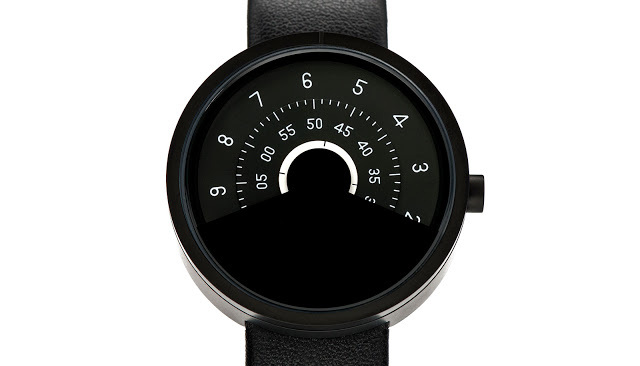 The case is black PVD coated steel, 42mm in diameter and 10mm high. Inside is a self-winding Miyota calibre 8215 with a 40 hour power reserve. Miyota is a subsidiary of Japanese watchmaking giant Citizen that specialises in low-cost but reliable mechanical movements made in China. Anicorn is based in Hong Kong and ships worldwide. The Series 000 is available direct.